(Verso, sheet) inscribed in pencil, at lower center: "PF 31360"
"Sunday afternoon, we get it together. I cook the steaks and my wife makes the salad." 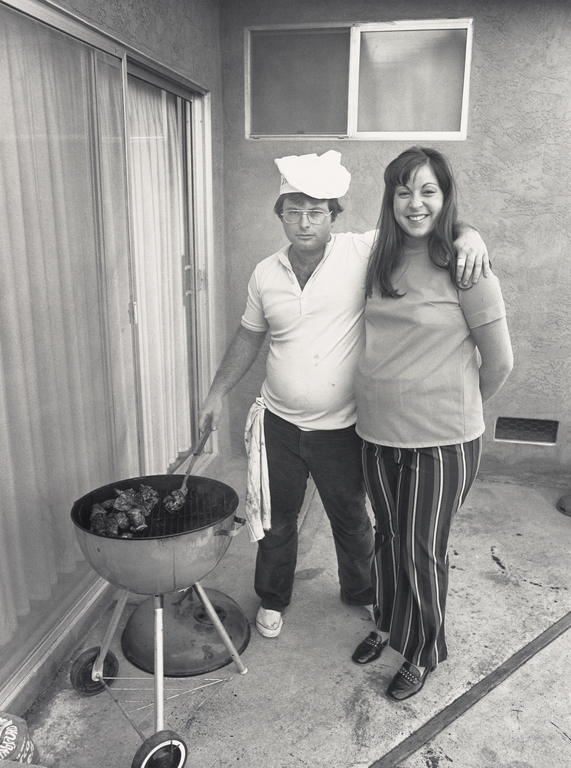 These words, written by the man in a chef's hat with his arm around his smiling spouse, seem to express immense satisfaction in a humble ritual: the backyard barbeque. This photograph is part of the series Suburbia(1972), which depicts the rituals and lifestyles of San Francisco East Bay residents in the late '60s and early '70s. With clearly conceived notions of Americans--at work and at play, indoors and out, in family and in social groups--Owens's intention was neither to criticize nor parody the conformity and materialism he witnessed in middle-class America. Instead, he enabled his subjects to speak for themselves. 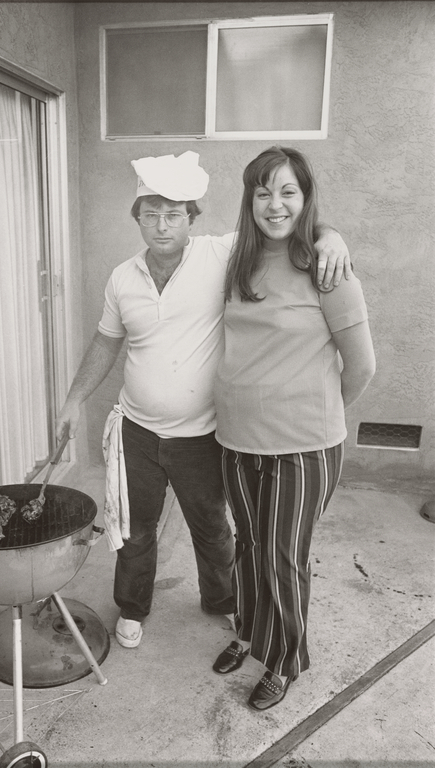 Using medium-format cameras outfitted with wide-angle lenses and fill-in flash, Owens involved his friends, relatives, and neighbors in the project not only by photographing them, but also by asking them to record their comments on cards, which he included as captions in the book.